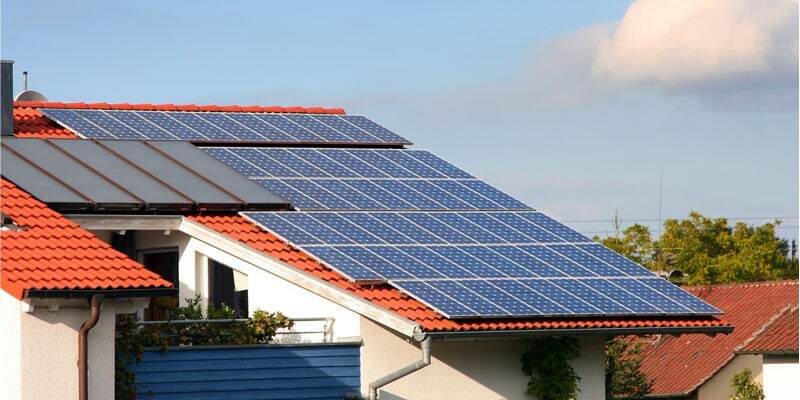 Solar Rooftops are solar power plants installed on the rooftop to produce electricity from Sun rays.Solar Rooftops can be installed for either Residential or Commercial purpose. Because of its modular nature, the solar panels can be customized to suit the needs of the customers. Inverter / Power conditioning unit – Inverter enables Direct Current(DC) to usable Alternating Current(AC) conversion. Battery – These are needed to store the power generated from the solar panels or any surplus from the indoors. Tubular Lead Acid, C-10 rated batteries are used. Solar Regulator – That regulates the flow of current between solar panels and the battery. Solar Net-Metering services with Electricity Boards as per the state policy. The solar panels convert solar energy to Direct Current (DC) and the inverters(Power conditioning unit) convert Direct Current(DC) to Alternating Current (AC) to power up the building with or without the grid current. Power outputs for Solar rooftops are small compared to ground mounted Photovoltaic systems. Output for Residential purposes can be in the range of 10-20 Kilowatts and the power output for commercial purposes can reach 100 KW and more. These are the systems where the DC output of the solar pv is connected to the DC load. These are the simplest type of Solar PV systems – Only components are PV and a load. This can be used for fans, water pumping systems and other equipments that use Direct current. In case of a higher demand for power/electricity surplus current is drawn from the grid. They are easy to install and maintain since there are no batteries used in this case and the grid functions as a virtual battery. These systems use Grid-tied inverters for the 2 way electric flow. These are the systems that work independently of the grid. This kind of a system is usually used for remote homes to power up an entire building for the required load. There are batteries used to store the electricity generated by the solar pv system. In case of extra power needed other backup devices like diesel generators are used. These type of systems is a combination of both Grid-tied and Off-grid systems. In this case, the inverters will produce as much power as possible when operating in utility interactive mode. When the utility is interrupted, the inverters disconnect from the grid and switch to standalone mode and make as much power as the load needs. In DC-coupled systems, the Solar output is connected to the DC side of PV system. The harvested solar energy first flows to a battery bank via a charge controller and then to AC loads via a battery based inverter. Generally, they are not able to store the grid power. Note that the battery-based inverter in this application is responsible for disconnecting the local electrical system from the utility. 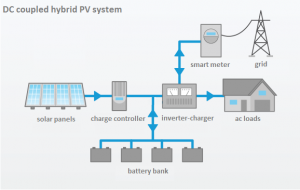 In AC-coupled systems, the Solar output is connected to the AC side of PV system. The current generated by the solar panels, first passes through the batteryless inverter which converts DC to AC. This is used by the AC loads through the AC load panel. Any extra current generated is stored into the battery bank using the battery inverters or supplied to grid in case of grid tied systems. AC Coupled systems are complicated and are less common. They use 2 types of inverters used. Generally a grid-tied inverter would not work in case there is no grid power, but with the battery inverter it synchronizes with it. Battery inverters create voltage so that grid tied inverters can work when there is no utility. The existing grid tied system can be converted to this with a battery backup without much changes to the existing systems wiring. This system is a lot more efficient compared to the battery based system since most of the conversion happens through the grid tied inverter. Standard Wiring : 30 mtrs. Tubular Lead Acid, C-10 rated batteries. Base Structure / RCC Roof should withstand weight of at least 120kg / KW. Rooftop Area required less than 90Sqft / KW. Energy Requirements and Savings – Look at the current energy usage and see if the energy consumption can be reduced using efficient appliances. Based on the energy requirements and target savings one can choose a Solar PV equipment customized to suit the customer. The cost of the solar PV system. 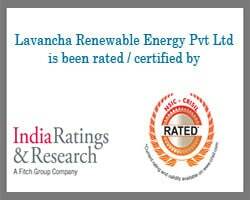 This is directly related to the energy requirements of the customer and the make of the system. The base Structure / RCC Roof should withstand a weight of at least 120kg / KW. Is the exposure free of trees or buildings that could shade the panels on them? If the solar PV system is to be installed on the roof, then is the roof in the right location to receive good amount of sunlight? Does it have the right tilt to sufficient sunlight? An important thing to remember – The angle of the rooftop has less impact on solar panel performance than the direction the roof faces. Vendor- Check out for the right vendor with the expertise involved in installing solar rooftops. The angle of inclination of the solar panels is based on the inclination of the rooftop. If the roof is flat then the rooftop panels can be installed at an angle for optimum exposure to sunlight. Solar Rooftops can be installed for either Residential or Commercial purpose. Output for the Residential purpose can be in the range of 10-20 Kilowatts and the power output for commercial purposes can reach 100 KW and more.